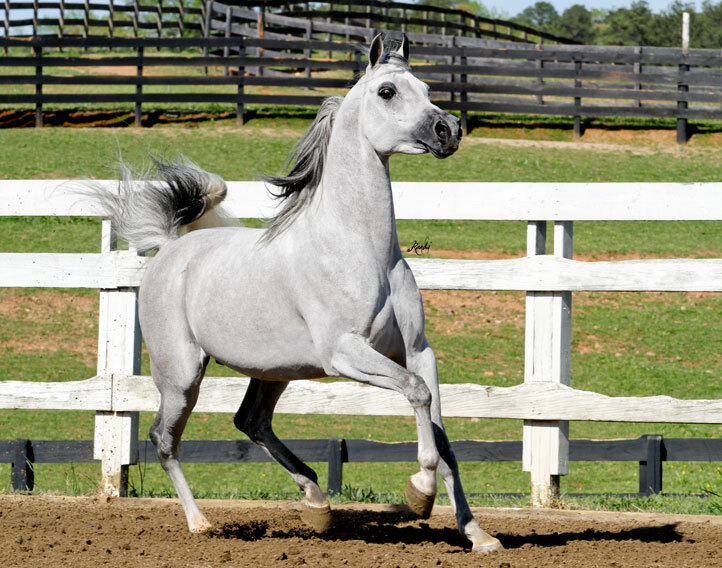 One of the few stallions sired by his late sire, Ansata Nile Nadir, available to public stud. 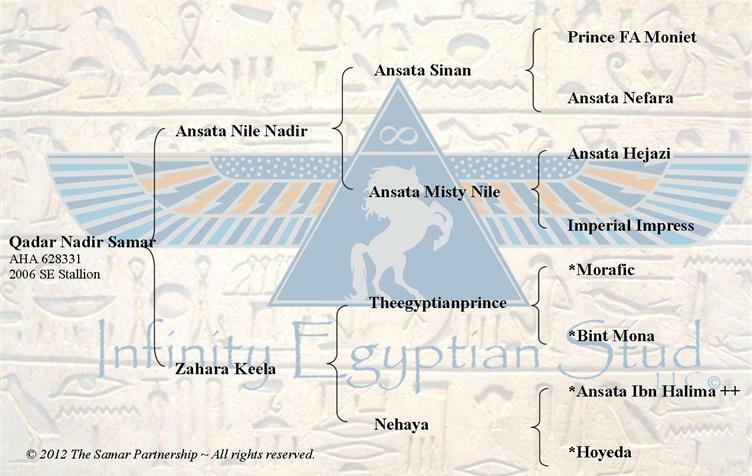 Ansata Misty Nile. 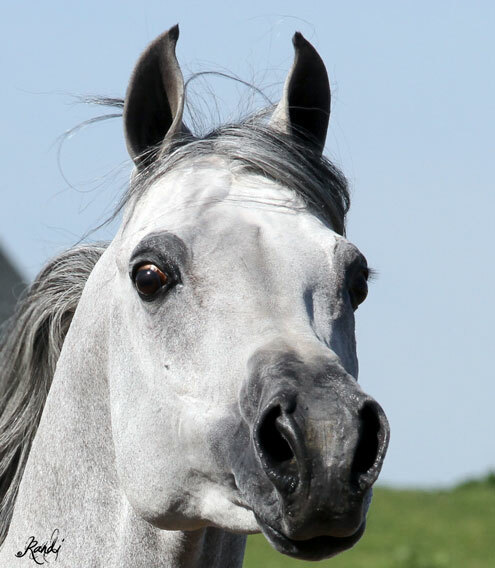 He passed away at an untimely death leaving behind just a handful of foals to carry on his legacy. 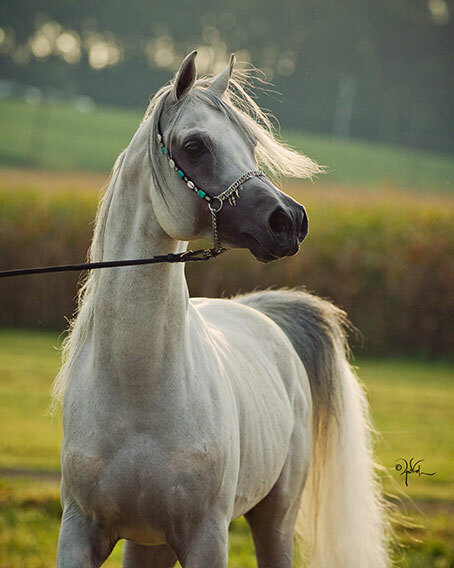 Nadir Samar’s dam, Zahara Keela, is a The Egyptian Prince daughter. Her dam line goes to the world reknown, Moniet El Nefous through *Hoyeda and Mouna. Qadar Nadir Samar has had a limited but successful show record. He was Egyptian Event Futurity Finals SE yearling Colts 1/1-4/15 Top Ten, 2008 Great Lakes AHA Class A Show Arabian Stallion Breeding 2 years and older, 1st place Arabian Stallion Breeding Championship, Reserve Champion Egyptian Event World Class 2 year old colt, Top Ten (5th out of 12) Futurity Finals SE Colts two years old (6th out of 14). He received scores of 20, 20 and 19.5 on his movement!! 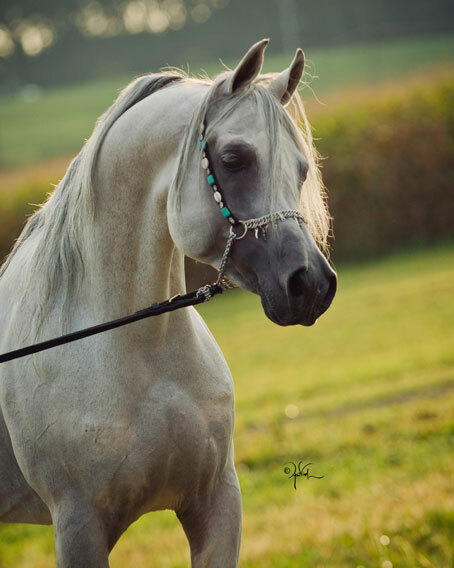 To date, Samar has two beautiful fillies both owned by Hadaya Arabians. 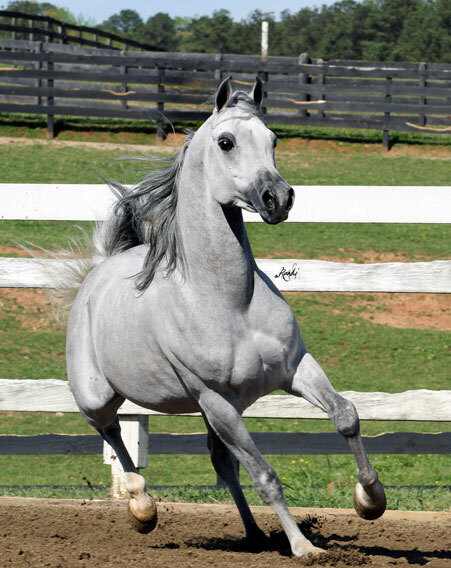 He has a chestnut filly out of Qadar Maariya and a grey filly out of Hadaya Silverette.